It’s raining in northern California like the proverbial cats and dogs--and all the more reason to think of vacations. Extension apiculturist Eric Mussen, member of the UC Davis Department of Entomology faculty, received a query last week from a family planning a camping trip to a public park in the Midwest. 1. Is there any way to find out what a bee population is in a specific area? 2. How can we avoid bee stings? Is there any way to find out what a bee population is in a specific area? Usually, the only records that are kept deal with the number of colonies registered by the beekeepers in a state once a year. If the beekeepers are commercial beekeepers, they are likely to move the colonies around for purposes of crop pollination or producing honey crops. Unless you knew all the beekeepers and their patterns of operation, there is no way to know where the colonies are. If this is a good honey producing area, beekeepers might be moving their bees into it. You could call the park (if it is one) and see if they allow beekeeping on the park grounds. Even if they don't, if there is good bee forage in the area (nectar and pollen), some honey bees are apt to be living around the area in "feral" colonies--not managed by anyone. How can we avoid bee stings? Best preventative measures? Honey bees do not tend to sting anything very far from the nesting location, unless you happen to step on one, etc. They are busy collecting water, nectar, pollens, or propolis (plant resins they use to glue things in the hive.) If something comes near the nesting location, and the bees respond to the approaching threat, then there might be some stinging. What are the best preventative measures? This pertains to wasps, too, which sting more people in the woods than honey bees ever do. Keep your eyes open for "directed" flight by insects in an out of a specific spot. That is likely to be the nest entrance. Keep away from there. If bees or wasps come flying out toward you, don't swing at them or try to blow them away from your face. You'll get stung immediately. If you are not yet stung, just stand very still for a moment, then ease yourself out of the area with no flailing or swinging of the arms, etc. Put a lot of distance between you and the nest without running. If they are all over you and stinging, then run first and work on the stings later. Honey bee stings stick in your flesh and give off "alarm pheromone," which leads to more stings in the same place. You do not want to continue to be a target. If stung, look for the sting when you get a chance. If it is honey bees, the sting will be there. Scrape it off with a finger nail, before all the venom is pumped into the skin. Honey bees are attracted more to yellow and blue than to other colors. Honey bees treat red and black as black. Black is bad if bees are stinging in the area. Pastel and white colors usually are best around bees. Final thought, even if there are bee hives or nests around, hardly anyone ever gets stung by them. They do their thing and you do yours, and there should not be any conflict under normal circumstances. 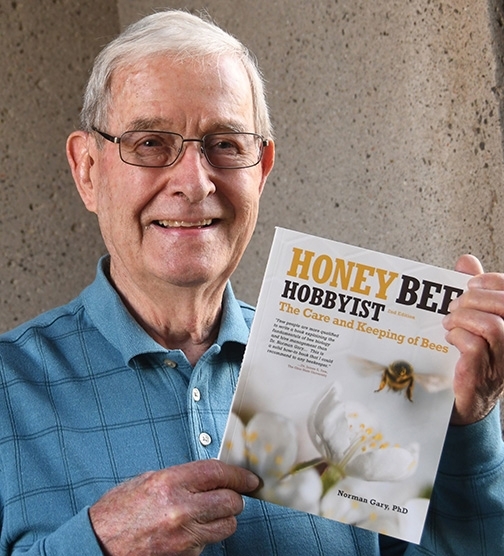 For more information on bee stings, read the bee sting advice that appears in his newsletter, from the UC Apiaries, a publication Mussen launched in 1976. He also writes the equally informative Bee Briefs. These publications are archived on the UC Davis Department of Entomology Web site. Beekeepers consider stings just a part of their job. However, say the word "bee" and John Q. and Jane Q. Public may not think about the pollination of fruits, vegetables and nuts. Or the end product: honey. The bee conjures up the "S" word: sting. Of the scores of questions that Extension Apiculturist Eric Mussen has fielded since 1976 (when he joined the UC Davis Department of Entomology faculty), many relate to bee stings. 1. 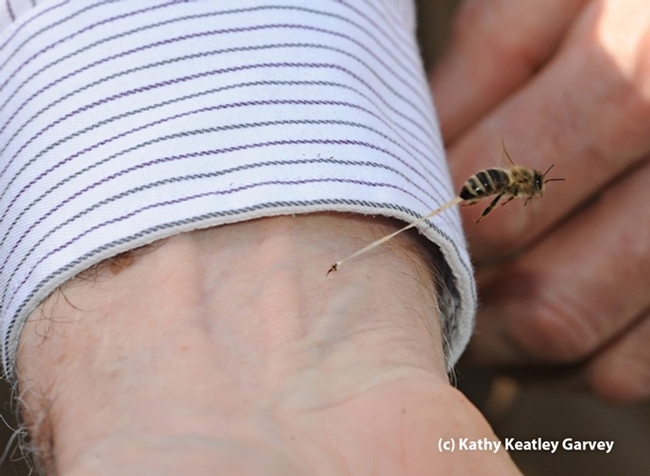 Can a honey bee sting kill you? If a person is highly sensitized to honey bee venom, one sting could be fatal, causing anaphylactic shock. Otherwise, it is just painful and likely to cause some swelling and local tenderness that will last for two or three days. 2. How do you treat a honey bee sting? Try to remove honey bee stings as quickly as possible, since venom is pumped from a sting into the victim for 45-60 seconds. 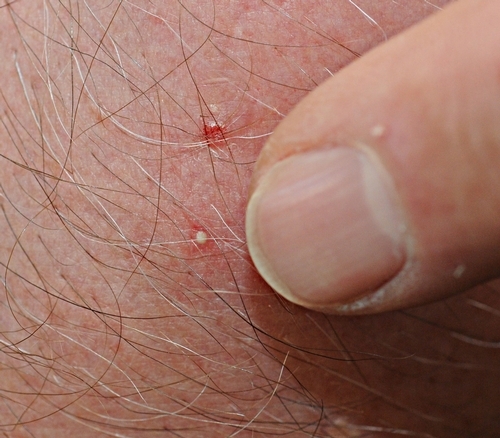 Stings are easily scraped off with a fingernail. If many honey bees are stinging, leave the area quickly and deal with the stings when you are out of range of the defensive area (about 100 feet with European honey bees, but up to ¼ mile – 1,320 feet – with Africanized honey bees). The pain can be reduced a bit by putting ice on the sting site, but the stabbing pain backs off fairly quickly without any treatment. 3. Can a honey bee hear you? 4. 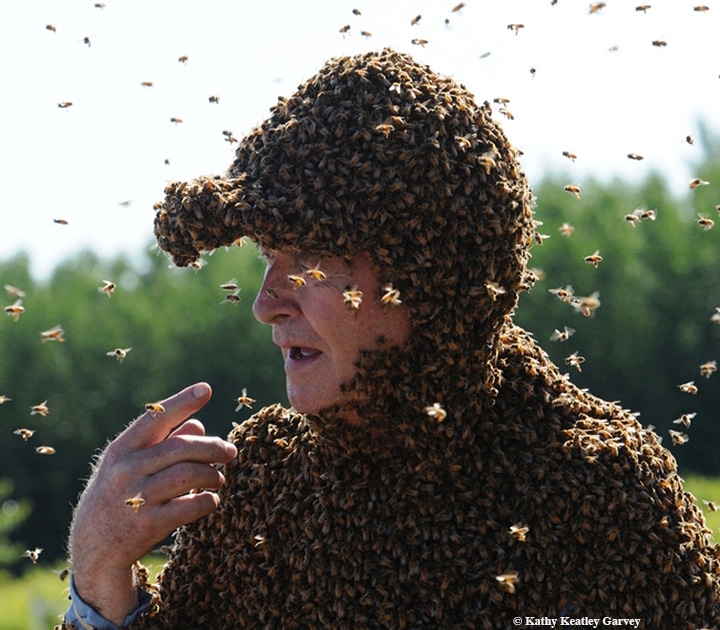 Why do beekeepers use smokers when they visit their beehives? The smoke from the smoker has three effects on the bees. First, it prevents the guard bees from liberating much “alarm pheromone” (smells like bananas) in the hive. Second, it prevents “soldier” bees in the hive from smelling the pheromone that has been secreted. Third, it causes many bees to fill up on honey. Despite the wives’ tales to the contrary, there is no reason to believe that the bees “think” there is a fire or that bees full of honey cannot sting. 5. Can honey bees see color? Yes, honey bees can see nearly all the colors we see. They cannot see red, which looks black to them. They can see into the UV wavelengths a ways, which is beyond our limit at purple. UV looks black to us. 6. Do honey bees need to eat meat? No. Unlike wasps, honey bees derive nearly all the important ingredients in their diet from pollens. Pollens contain protein, fats, vitamins, minerals, carbohydrates, sterols, and many plant-derived antioxidants. No single pollen contains all the essential ingredients, so colonies do best where a good mix of attractive flowers are available. 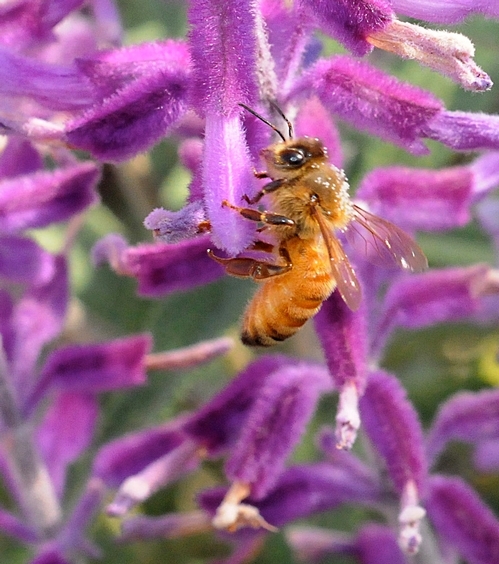 Nectar, the dilute sugar syrup honey bees collect from flowers, contains mostly sugar, an energy food. The flavor and color of honey depend upon the source of the nectar from which it is condensed. There you have it: The A, Bee and C of the most commonly asked questions. Bottom line: Sure, bees can and do sting, but our survival depends on them. Bees pollinate one-third of the food we eat (fruits, vegetables and nuts). They pollinate some 100 crops in California, including about 700,000 acres of almonds. 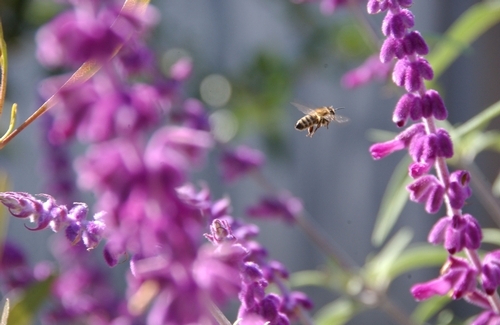 “The value of California crops pollinated by bees is $6.1 billion,” Mussen says.